The 5th edition of Euphoria Music & Camping Festival has announced their full lineup and the words astonishing, fantastic, and any other synonym of awesome just don’t do it justice. An enigmatic mix of every genre you could think of, Euphoria truly has something special planned for the attendees. 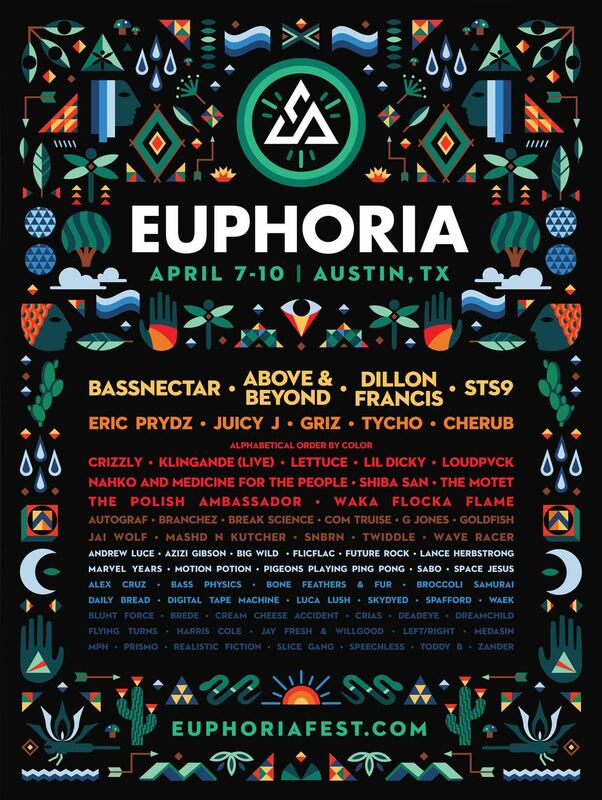 Headliners Bassnectar, Above & Beyond, Dillon Francis, STS9, and many many more, will be the ones bringing you into a state of Euphoria in April. Added to the final lineup, Eric Prydz and Cherub top the list of 30+ additions to the 4 day festival. With the 5th year comes the addition of a special 4th day to the festival for a New Moon Pre-Party for campers. Check out this link for tickets and more information about the festival! There is also a handy lineup video below!